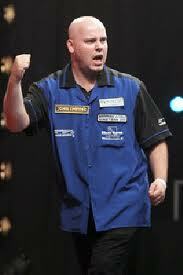 Dutch Christian Kist plays darts for around 13 years and is a member of the Dutch national team. 2011 he was under the last 16 of the Winmau World Masters and reached the final of the Swiss Open. He won through the International Play-Offs and secured himself a place in the BDO World Championship 2012. Rather surprinsingly he won the World Champion Title with a defeat of Tony O'Shea. Kist is no full time professional. He earns his living as a road worker.